Welcome to our Open Lines discussion. During our two hour two segment program, we covered many topics with multiple callers. 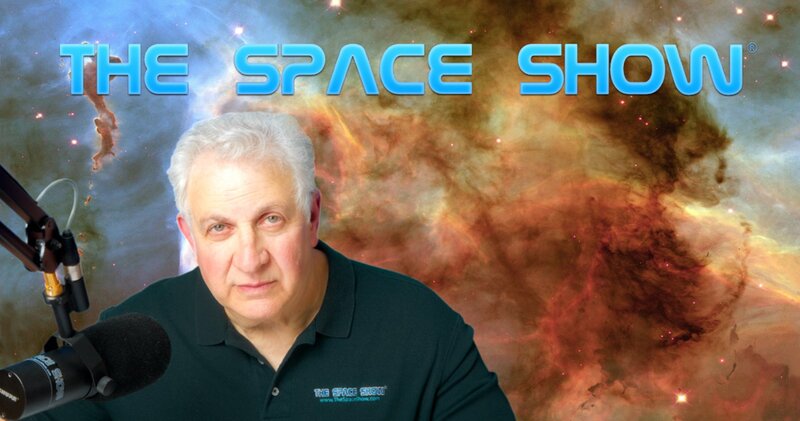 I started the discussion with suggested topics including the passing of Dr. Paul Spudis, Space Show phone line issues based on having to cancel the Friday show in progress, details about our upcoming schedule, China space concerns, Elon Musk, Russia saying it might not renew the agreement to take US astronauts to the ISS in 2019 plus updates on the Mars Society Conference and my visit with Dr. Woodward. Not all my suggested topics had traction with the listeners but clearly talking about Paul Spudis was a big thing. His death was and is a loss for us all and he will be missed by all of us, The Space Show, and me personally as Paul was a dear friend. Our program was dedicated in the memory of Paul and so will the programs for the coming week. Our first caller was Michael Listner who refuted the news articles about Russia not renewing the ISS agreement for US astronauts. He pointed out that Russ was liable for transporting astronauts to the ISS, plus due to the Sea Launch agreement with Boeing, Russia contracted to give Boeing multiple seats to the ISS and Boeing can assign or sell those seats to NASA. That said, it was unclear what the new price per seat might be as that was to be negotiated. I asked Michael about liability for the private companies if they have a bad accident transporting government astronauts to the station. Michael explained the laws which assigns liability to the government if the privates are carrying out a government mission. Be sure to listen to what Michael had to say on the liability issue. Kim from Mexico was our next caller. She talked about the loss of Dr. Spudis and updates to Moonwards with very high resolution lunar maps and more. I joked around with her regarding lunar hot dogs and the swimming pool she was designing but we spent a good portion of the time together talking about Paul Spudis. There was and is much one could say about Paul. Don't miss our discussion and the later comments said on Paul's behalf in the second segment of the show. Kim is meeting her goals and objectives and will be back with us the end of December for a comprehensive Moonwards update. We started the second segment with a call from Tim in Huntsville. He wanted to discuss the billionaire space article that appeared a short time ago on the CNN site suggesting there were much needed and better uses for billionaire money spent on space. Here is a link to the CNN article referred to by Tim: https://www.cnn.com/2018/08/15/opinions/billionaires-reach-for-the-stars-while-world-suffers-sachs/. I am considering extending an invitation to the author, Dr. Jeffrey Sachs, to discuss his ideas on TSS. If you have thoughts about that post them on our blog. Our next caller was Terry from Texas. He wanted to talk about the recent Howard Bloom show, the anti-SLS petition, Orion, and the Gateway. He also brought in recent congressional hearings where he said members of congress did not care about the JWST costs. We talked about government projects in space and in general and their high costs as a problem. I explained why I was not signing the petition. Marshall called to pick up on joking comments I made about using a Go Fund Me page for a Space Show observatory. Marshall was offering some of his farm land in Oklahoma for the project. I inquired about the difference in a Go Fund Me page for a Kickstarter project. If anyone really knows the difference or has experience with a Go Fund Me page, let us know. If you think we should do an observatory on Marshall's land in Oklahoma with remote access, heck, voice your opinion on that too. Before the final call, I did get in a short Mars Society Conference review and a summary of my discussion with Dr. Woodward. Kim was our last caller. Listen to hear what she wanted to talk about as we were about to close the show. In addition, post your comments/questions on the blog for this show. Any comments regarding Paul Spudis are welcome on the blog for this show.